Whether you’re a business looking to attract more visitors to your website by generating fresh, search engine friendly content through a forum, or are a seasonal blogger trying to make waves, something you may not initially have considered is what essential specs your web hosting provider should have. If you’ve got a blog or a full discussion forum on your hands, built and ready for use, the first thing it needs is a proper web server to be hosted on. 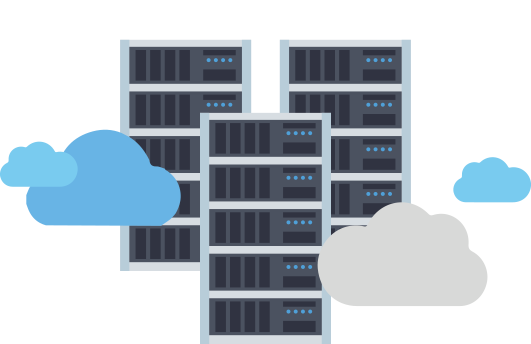 The majority of today’s popular web hosting providers offer standard requirements that would most likely suffice for your new website, such as storage, decent uptime, bandwidth, customer support, and fair pricing. However, there are also a range of unique requirements you should consider for optimal forum hosting services. Having a forum website means also having a database to store all the information, like user data, comments, ratings, and so on. To organize this data that comprises your forum, you need a hosting service that will support a variety of database management systems. Typically, a discussion board software will offer some compatibility with different databases to store its information in. Take phpBB, for example. PhpBB is an internet forum package that is free and open-source. It can be used with several different database management systems like Postgresql, MySQL, Microsoft SQL Server, SQLite, and Oracle. Having plenty of options to choose from gives great support to your website. Discussion forums often require more than one database to support them simply because they contain way more database entries than your typical website, so they need to be separated into categories. When searching for a hosting plan, make sure it allows for more than one database creation. With most forum platforms, you can take advantage of their single database configuration, however this isn’t recommended for scalability. As forums grow and utilize more resources, it might not operate as smoothly. It’s pretty standard for the majority of popular forum platforms to be built on the PHP scripting language, and as a result, you’ll find that most web hosting providers will support PHP. To run a forum without issues, you will need a few important specs: Remote Access to FTP, XML documents support, and Zlib (software library for data compression). These PHP items are also the same requirements for installing WordPress, so if a web hosting platform offers WordPress hosting, you can rest assured that you’ll get the PHP support you need without function restrictions. In the context of information technology (IT) and computer networks, bandwidth means data transfer rate, or the amount of data that can be sent from one point to another in a given time period. Essentially, it’s how fast things move, which is an important thing to consider when hosting a forum website and how much traffic it will have. While there isn’t an exact formula to calculate the amount of bandwidth your forum might need, it’s generally understood that the more the better. When choosing a web hosting service for your forum, go with a hosting plan that has unlimited bandwidth. While your forum might not receive huge amounts of traffic initially, it will consume more bandwidth as it grows. Most shared hosting packages have unlimited (or unmetered) bandwidth available. You can review some of the more popular choices via following A2 Hosting or Siteground overviews. While your forum website will need just enough space to store small attachments and avatars, its actual database can easily reach a couple gigabytes of storage as it grows in popularity. You need to prepare for this growth and ensure a server can handle the extra storage if you want your website to be successful. This is probably the most essential step in finding the right web hosting provider for any forum site, and weighs in heavily to how it will run, the design, and features it will have. Take your time in considering the software options that are right for your site. There are tons of discussion board packages ranging in price, starting at free and open-source, and each coming with their own set of advantages and disadvantages. One of the most popular and widely used forum platforms is MyBB and PhpBB. It’s easy to set up and free to use. Released back in 2000, MyBB and PhpBB has seen plenty of changes over the years that have improved its features and functionality. By being open-source, the platform has seen many modifications and extensions developed by the community that has further extended its usability. A few features any great forum software should possess is include user registration, user profile, multiple forums, posting, security and anti-spam, styles, plugins, and modifications. Of course, not all of these features are necessary to run a forum website, but they are pretty standard. Finding the right forum host can be challenging, with plenty of features and specifications to consider. It can be overwhelming, especially to the less tech-savvy community, but don’t be deterred! With this list of essential web hosting specs for forum websites, you’re already on the right track.